Liposuction is the safest and usually the most effective technique for removing fat from the chin, cheeks, neck and jowls. Liposuction involves fewer complications, fewer scars, avoids the dangers of general anesthesia, has a more rapid recovery, lower costs, and typically gives a more natural appearance compared to a facelift. Dr. Bublik has extensive experience with advanced techniques. 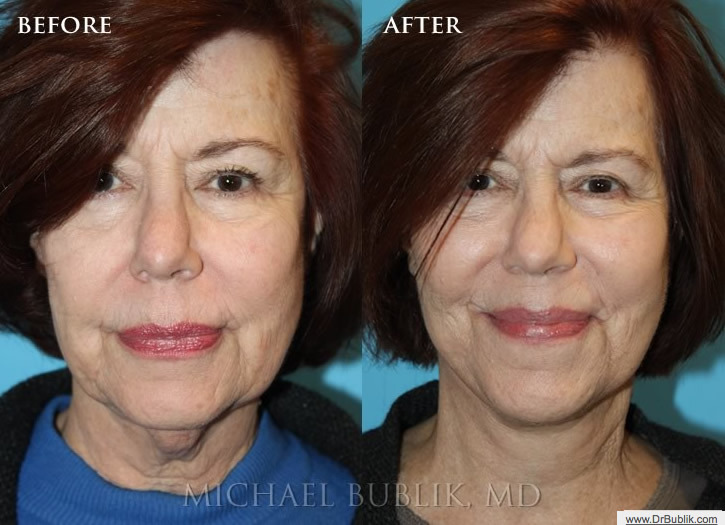 During the consultation, Dr. Bublik will evaluate your unique facial structure, aging pattern and specific desires in order to select which treatment is most appropriate.